Mr. Nathaniel Morgan, age 79, of 1641 Inverness Drive, Fayetteville, NC departed this life on Wednesday, October 31, 2018. Funeral service will be held on Thursday, November 8th at 1:00 PM in the Bethel Christian Assembly Church. Burial: Rockfish Memorial Park Cemetery. 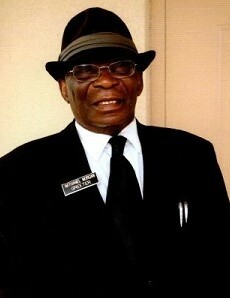 He leaves to cherish his loving memories: wife, Mary Morgan; sons, Samuel Morgan, Asron Morgan, Calvin Morgan, Oneil Paul Morgan, Keith Morgan, and Brandon Morgan; daughters, Lora Morgan, Angela Morgan and Landa Washington; and one sister; numerous grandchildren and great-grandchildren; and a host of other relatives and friends. There will be a viewing Thursday, November 8th from 12:00 PM to 1:00 PM at the church.